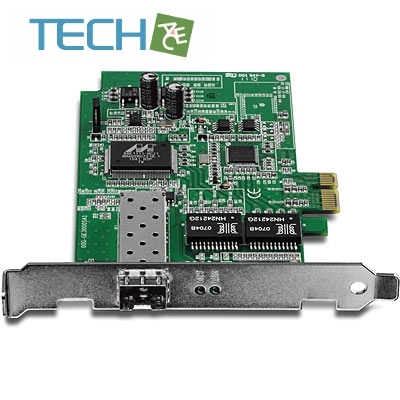 The SFP PCIe Adapter, model TEG-ECSFP, is a Gigabit fiber network adapter which is compatible with standard SFP modules and PCI Express slots. 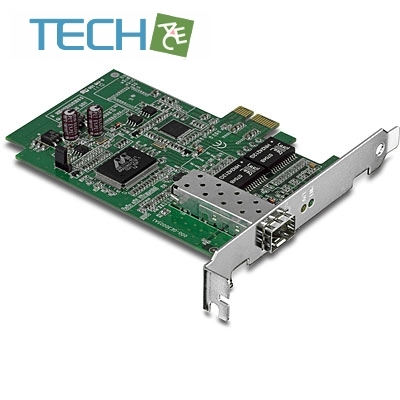 Full-Duplex technology generates data rates of up to 2 Gbps over a motherboard’s high-speed PCI Express Bus architecture. Jumbo Frame support further optimizes throughput performance. Supports SNMP v1, Pre-Boot Execution Environment (PXE) 2.1, VLAN tagging, and Layer 2 Priority Tagging. Optimizes power consumption with advanced Configuration Power Management Interface 2.0 (ACPI) technology. Diagnostic LEDs help with network troubleshooting. 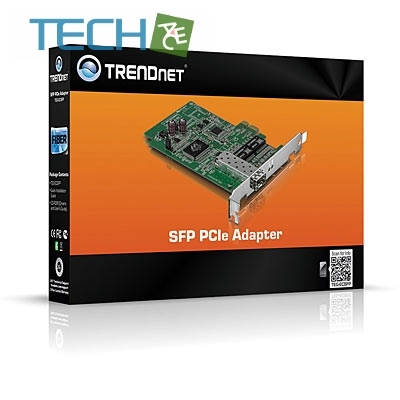 Compatible with Microsoft Windows 8, Windows 7, and Linux operating systems.